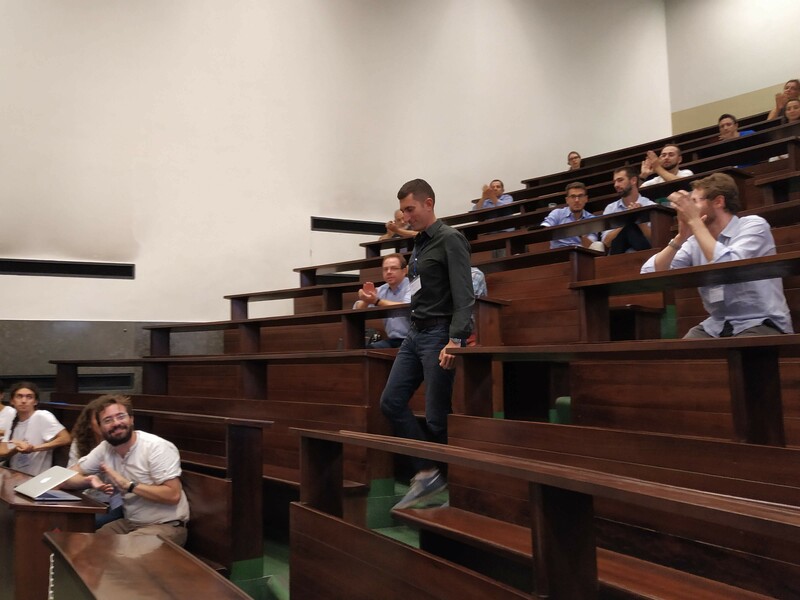 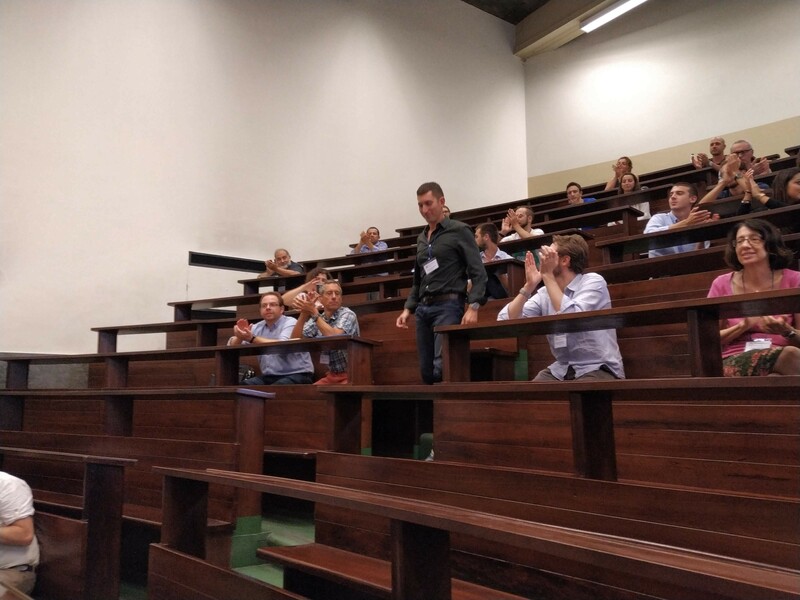 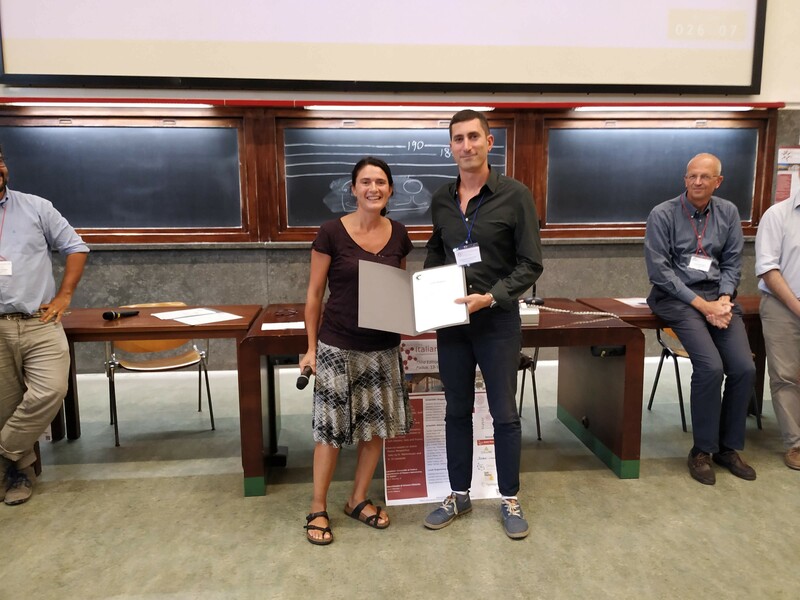 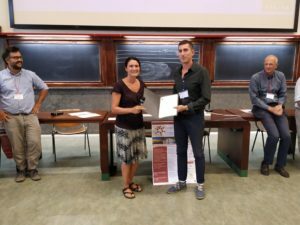 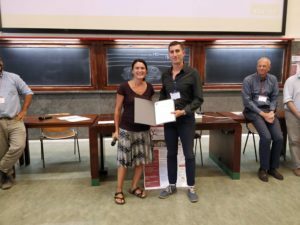 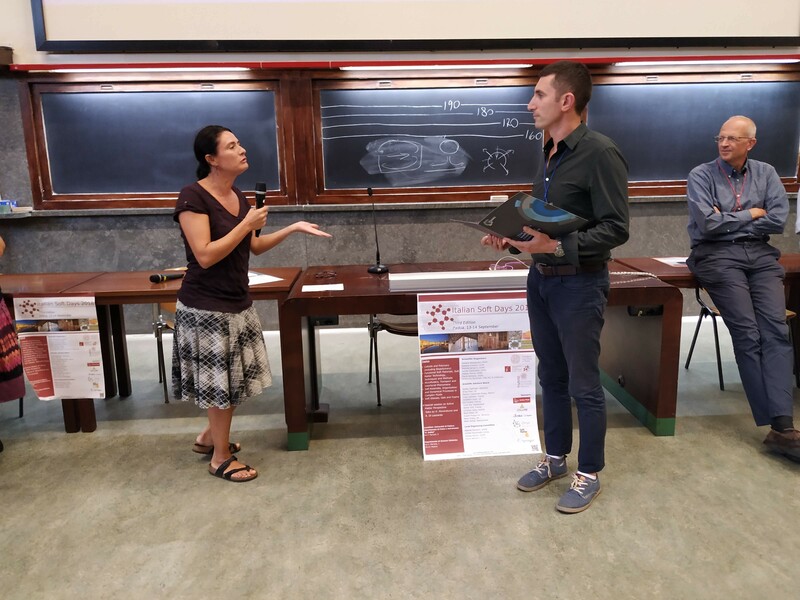 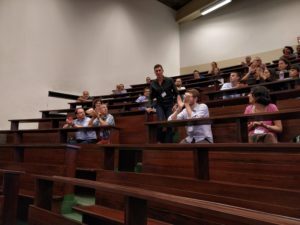 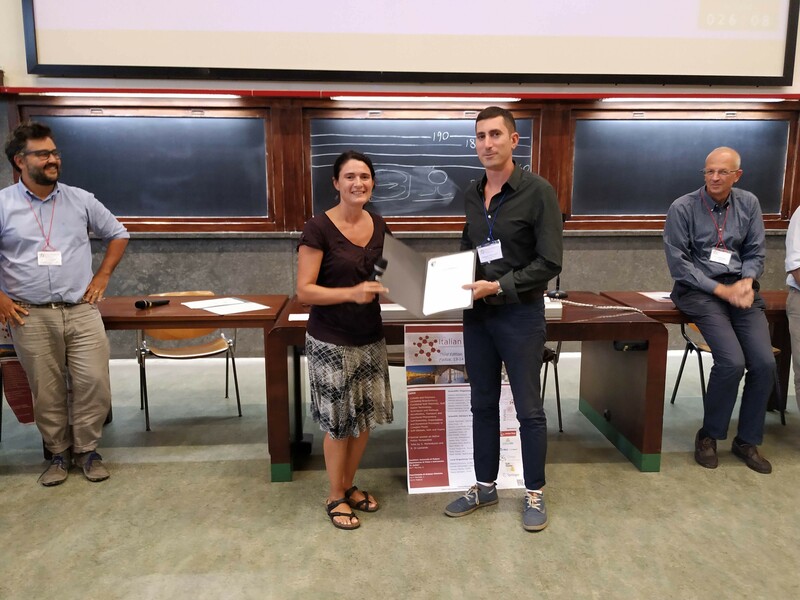 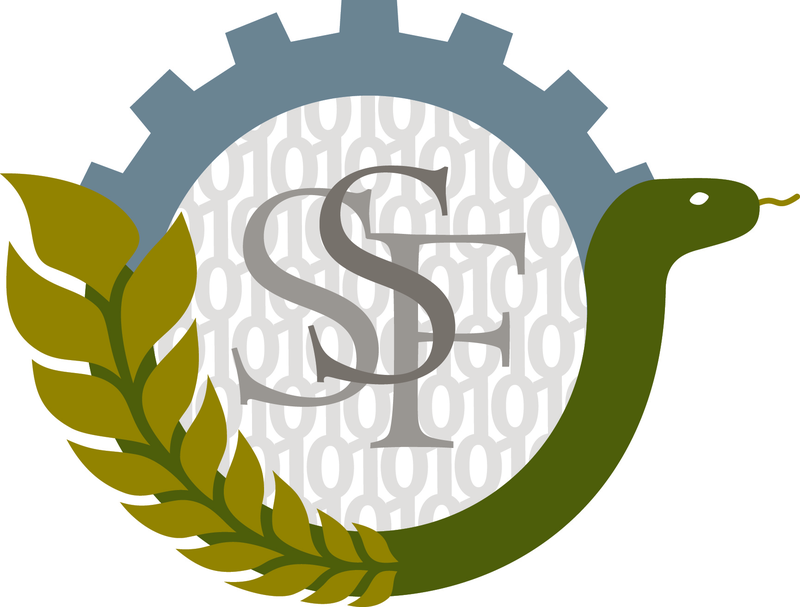 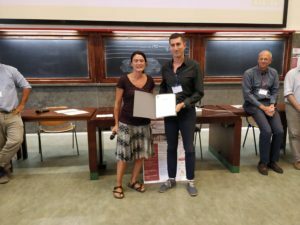 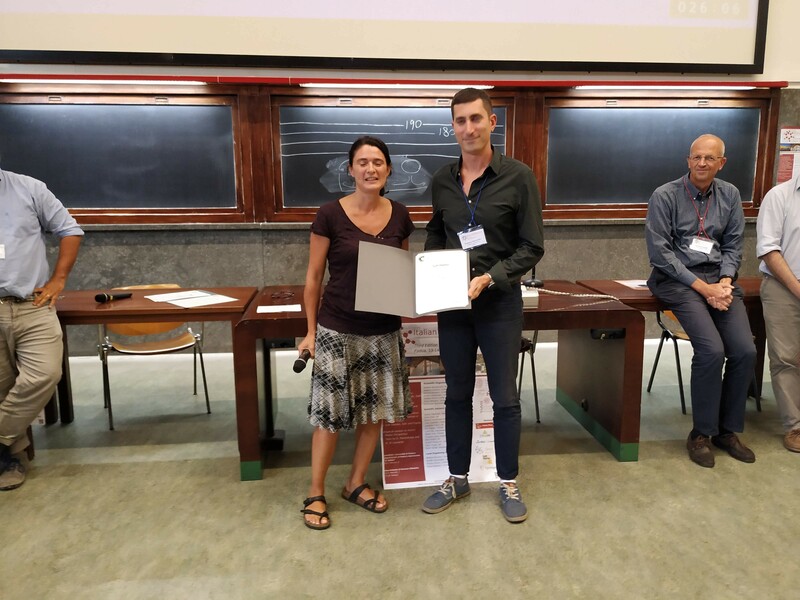 Alessandro Magazzù has been awarded a best oral contribution “Soft Matter poster price” during the conference Italian Soft Matter Days 2018, held in Padua, Italy on September 13-14, 2018. 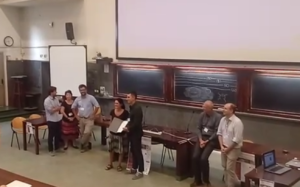 The prize has been given by Emanuela Zaccarelli, editorial board members of the Soft Matter journal. 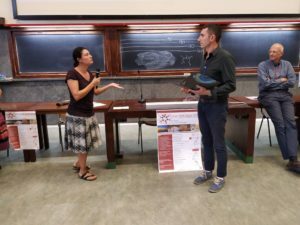 This prize mainly consists in an invitation to submit a manuscript without the pre-screening by the Editors. 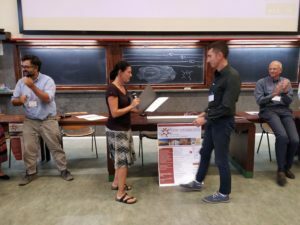 It also includes a “poster prize” and a personal yearly subscription to the journal.